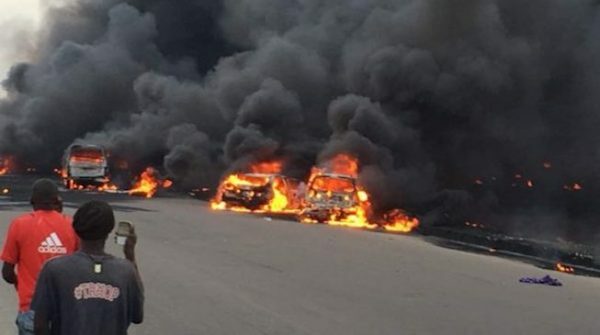 At least nine people have been pronounced dead on Thursday, four others injured and 54 vehicles burnt after a petrol tanker fell on the Otedola Bridge in Berger, Lagos. The accident happened around 5pm, and emergency workers had a tough time accessing the scene as a result of the traffic grid. 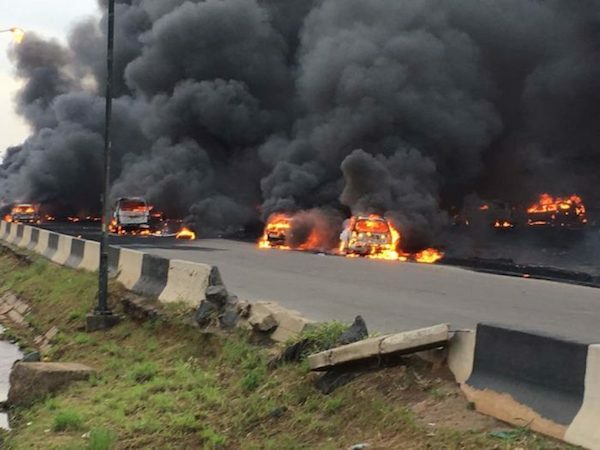 The fuel-filled tanker fell while ascending the bridge outward Lagos, spilling its content backward, and the vehicles behind it caught fire. Some of the deceased were burnt while trying to run to safety. 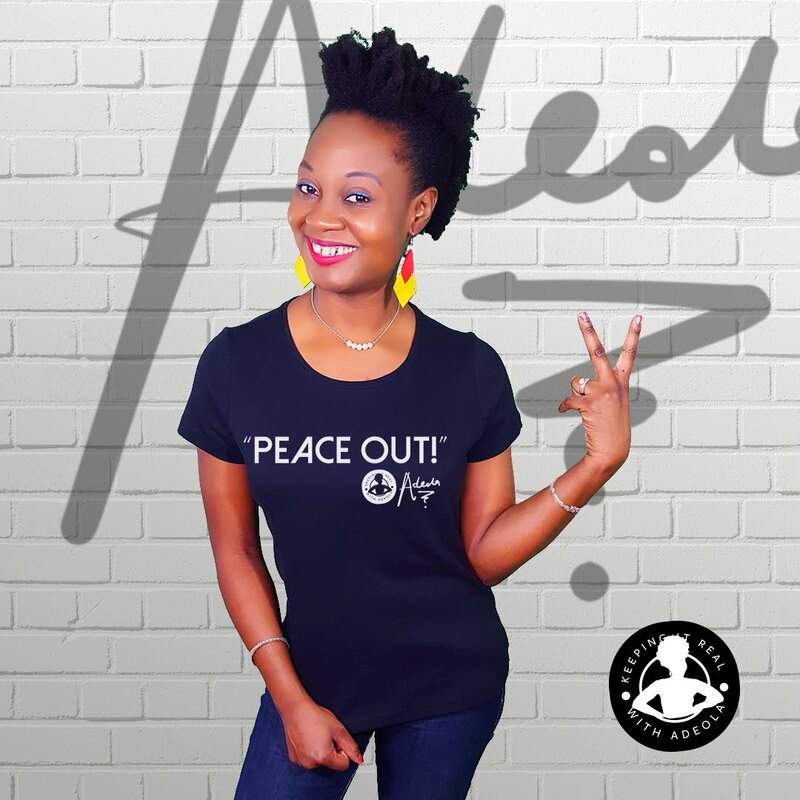 According to the General Manager, Lagos State Emergency Management Agency (LASEMA), Adesina Tiamiyu, two of the injured persons are in critical condition. 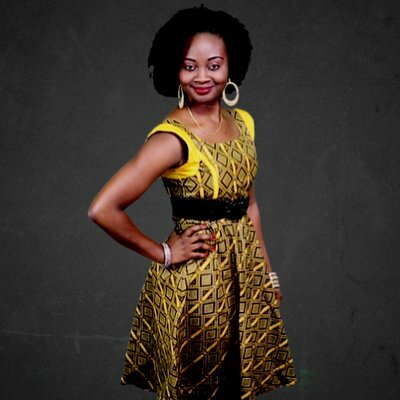 “A tanker exiting Lagos lost control while climbing the Otedola Bridge and spilled its content backwards,” he said. 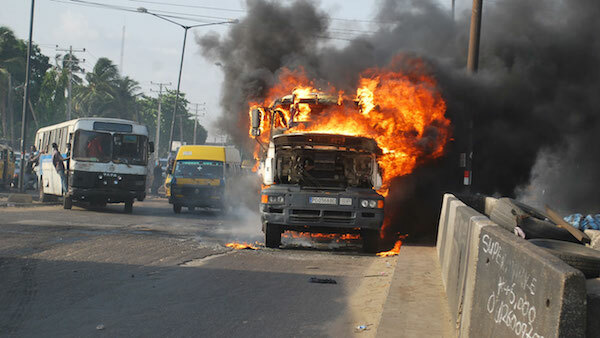 “This caused a fire outbreak and 54 vehicles were affected. Nine bodies were recovered and four injured people. Two of the injured were in critical condition. They have all been moved to the hospital.